Tatami mats are also referred to as judo mats. This is because they were widely used for judo training before becoming a staple with mainstream martial arts clubs. 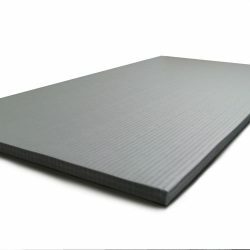 We currently offer black tatami mats and grey tatami mats (or judo mats). Other colours are available on special order. The mats come with a tatami finish. Should you require a smooth finish please check out our MMA mats. Contact Direct Mats if you have any questions. Tatami exercise mats, grappling mats are designed to be fitting in all surroundings and purposes. They have the quality needed for being used in competitions and the durability needed for home or gym usage. Tatami exercise mats are as comfortable as mats get. They are supportive to the body and absorb pressure wonderfully. Traditional tatami finish on our mats reduces the impact on your knees, back and joints while exercising. Often used in all MMA organizations and for personal martial arts training. These mats are perfect for all Martial Arts, from Judo and Jiu-jitsu to Aikido, Kung-fu, and Karate. Anyone who has ever practiced martial arts will recommend our tatami mats. Our mats are designed for high-impact sports such as MMA and Judo. 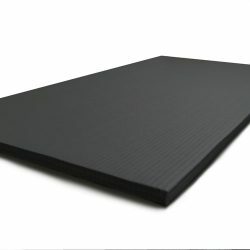 Our Martial Arts mats are made out of heavy-duty vinyl and a compressed sponge on the inside. The bottom is made out of rubber and has an anti-skid bottom so your mat wouldn’t go all over the place while you’re exercising. Gym mats we suggest have a slick tatami finish, 40 mm of thickness and a density of 230kg/cbm. Tatami gym mats are light-weighted and easy to carry. It is as simple as beans to install the mat anywhere in the room or in the gym. They’re easy to clean and don’t take up much space. Tatami gym mats are usually very light, hence, the practicality is on a very high level. Tatami mats are the perfect choice for your exercise, whether you’re working out in a gym or in the comfort of your home. You won’t make a mistake buying one of these. After all, the Japanese industry never fails. The tatami finish on our products makes all the difference. Don’t trust us, check for yourselves!